Hello there INOUÏ readers, I’m Sally from DiagonSally! Sharmi and I recently decided to do a collaboration and share what our top five holy grail products are. Basically, the products I’ve chosen are products I always make sure to keep in my make up bag. My absolute essentials! I got this while I was in Hong Kong and it has very quickly been my favourite brow product. It’s so lightweight and perfect for on the go as it has a brush at one end and the product at the other. The tip is slanted which allows for precision and I find it looks very natural. The texture of the pencil is neither too soft nor too hard and is extremely affordable. Although I try to mix up the products I use quite frequently, this is definitely one of my favourite blushers. It’s in a cream finish which leaves a dewy ‘pinched’ look on your cheeks. Sometimes when I’m having a no make up day, I still like to wear this just to add a bit of natural colour to my face. I like to apply it with a stippling brush and then smooth it out with my fingers. Again, this product has lasted me forever. You only need a little bit and it adds a nice smooth filtered look onto your face without looking cakey. I’m also pleased that it doesn’t break me out, something which I’m always careful about. I actually don’t wear a liquid foundation generally so I use this to set my concealer and it work like a charm. During the winter my lips chap very easily and this is the only product that helps and I’ve tried a lot! It feels like all the other lip products I’ve used just sit on top of my lips temporarily moisturising them but the second it’s gone my lips are completely exposed again. I swear by this particular Burt’s Bees lip balm, the only one that moisturises my lips. I’ve tried a few different eyelash curlers through the years and let me say, this one is worth the hype. It fits the shape of my eye very nicely and curls my lashes well. I’ve been using this particular curler for almost a year now and it’s still going strong. 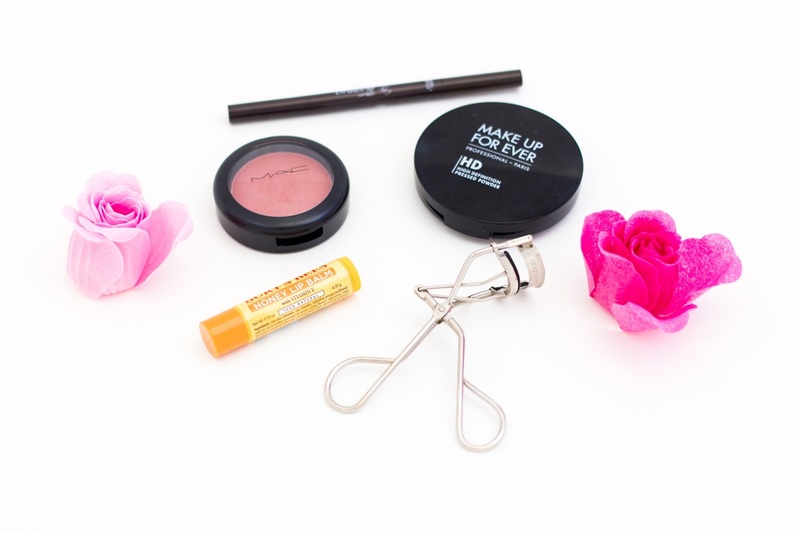 Having an eyelash curler is a necessity in my makeup bag! So there we have it, my top five holy grail products! I hope you enjoyed reading them. If you want to read Sharmi’s top five, head over to my blog to read all about them. Also, let me know if any of the products I chose are in your top five! Yay to a collaboration! The post is awesome, and I'm off to read yours on Sally's blog. I wish I could try these products, but I'll just settle for looking at this picture and admiring how pretty the photo looks. I'd love to try that blusher! Great products!! Everyone need these! !